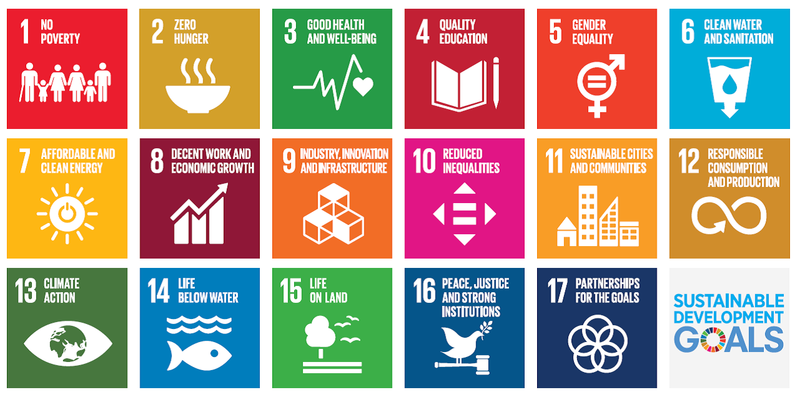 In June 2018, I attended a conference where Sue Stephenson, Co-founder and Interim CEO of IMPACT2030, presented on designing employee engagement programs that align with the Sustainable Development Goals. As a newly accepted graduate student, in pursuit of an MSc in Sustainable Development, I was eager to hear what she had to say. It is not often that my background in public service and volunteer management collides with my interest in sustainable development. Sue’s presentation was music to my ears, I couldn’t believe an organization like IMPACT2030 existed. I had to learn more about how the private sector was applying the SDGs into employee action, how they are measuring impact, and of course – how could I get involved? Sue and I stayed in touch, and eventually I was able to secure an industrial placement with IMPACT2030 as a part of my MSc program. With six months of intensive sustainable development education under my belt, I am anxious to apply my knowledge to the work IMPACT2030 is doing. A significant takeaway from my coursework thus far includes a classic chicken and the egg paradox – should an emphasis be placed on the individual or system change as the focus for sustainable development implementation? Of course, in the end, the answer is that you cannot have one without the other. Considering both the interconnectedness of human behavior and the systems we are a part of is critical when deciding how to make the greatest impact towards sustainability. More than ever, companies are analyzing their environmental and social impact with sustainability teams; looking at everything from material use and extraction, supply chain management, manufacturing facilities, emissions through transportation and distribution, etc. On top of this, the private sector is also investing in their human capital through corporate social responsibility and employee engagement programs. IMPACT2030 is encouraging this sector, in collaboration with other key stakeholders, to strategically harness these human capital investments to achieve the SDGs. If companies incorporate both strategies in their pursuit of sustainable development, they will simultaneously address this chicken and the egg paradox by working towards a more sustainable business strategy while engaging their employees in the process through intentional volunteer work. Chris Jarvis, Co-founder of IMPACT2030 and Executive Director of RWInstitute, emphasizes in a recent TEDx Talk the need for employee volunteer programs to move from being transactional to transformational. A well-designed employee engagement scheme has the potential to create employees that are knowledgeable and empowered to make a difference by becoming activated multipliers of the SDGs. When employees participate in a meaningful volunteer experience, it is possible to create a psychological mind shift- changing preconceived notions, addressing implicit bias and increasing empathy. Creating a sense of belonging among colleagues and to the local, or global, community is crucial as we all strive towards achieving the global goals. During my industrial placement, I will continue to explore the ways in which employee volunteering can make progress towards the SDGs. I will also work on some critical projects, such as coordination of the newly formed Metrics Council, working to reliably and comparably measure social impact as it pertains to the SDGs. I am excited to apply what I have learned in the classroom, combined with my professional experience in the public service and renewable energy sectors, to the mission and vision of IMPACT2030.